Small volume contract manufacturing including material procurement, component fabrication, product assembly, and order fulfillment. We can be your "factory". Click here to learn more. Custom CNC (robotic) cutting & carving including 3 dimensional carving and 2 dimensional profiles. We can cut or carve most any shape you need. Look through our Galleries pages to see examples. Architectural components such as curved molding and casing for use around windows and doors, stair tread ends, reproductions of old or unusual molding, corbels, radiused door jambs, custom components, etc. 3D carved signs and emblems such as military unit emblems, badges, fire, police, and rescue signs and emblems, subdivision entrance signs, business signs, etc. 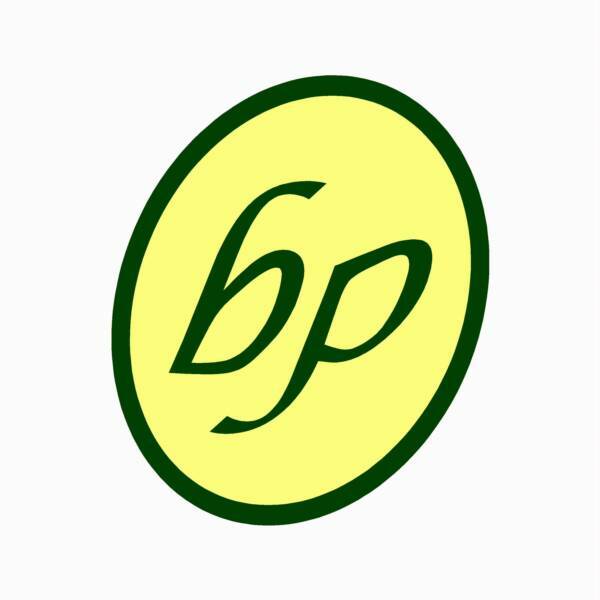 Furniture parts including reproductions of old or unusual furniture or pieces. Custom built-in furniture & storage solutions such as entertainment centers, bookcases, wall beds, Murphy beds, knock down furniture for kids rooms and game rooms, garage storage, etc. Product design, prototyping, drafting and computer aided design (CAD) services. 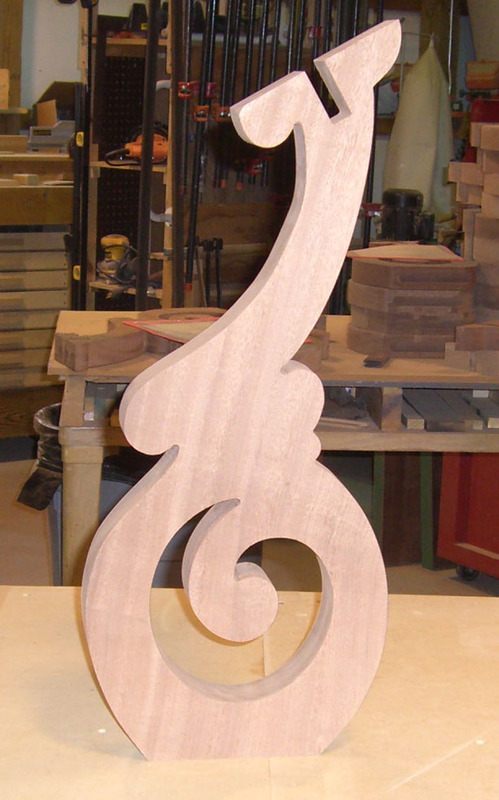 We made 105 of these custom mahogany scrolls for the Thomas Day exhibit at the North Carolina History Museum. Each scroll measures about 24" high x 12" wide x 2" thick. They will be used as supports for railings. 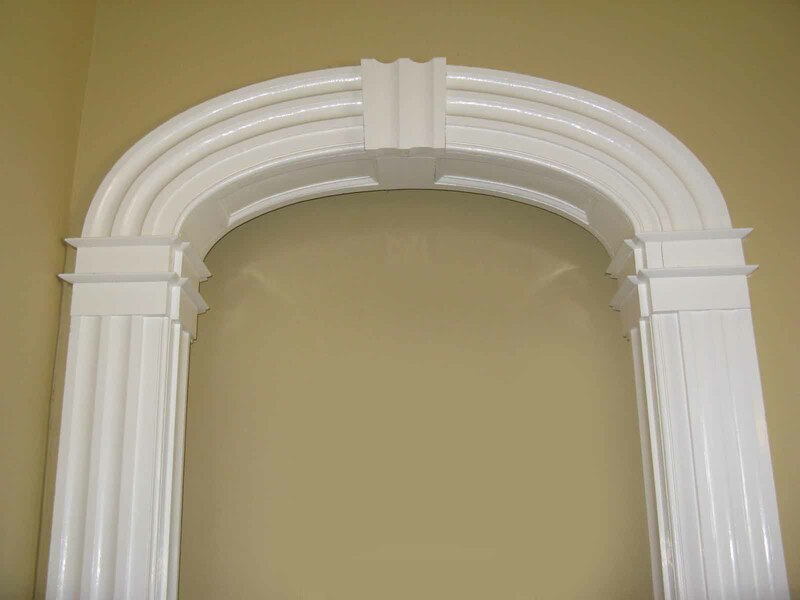 We also supplied custom reproductions of the door molding shown below.